SO…. 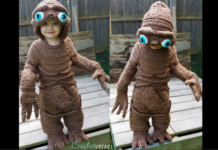 HOW CAN I LEARN TO CROCHET?? We are so lucky in to be present in today’s “day of the internet.” Our resources are NEAR LIMITLESS! If one source doesn’t quite make it click…. NO WORRIES, just try another! I’ve always been a craft/diy/do it ya self kinda gal. I can remember calling my Grandpa on the phone asking him to come and rush me to the craft store so I could get supplies for my next idea… Always last minute and OF COURSE, I needed it NOW! I remember sitting at a stop light wanting it to change so I could get to the store before it closed. This was probably a good THIRTY years ago and I STILL remember…. Moral of the story….??? When an idea hits… crafters gotta craft and NOW! LOL! 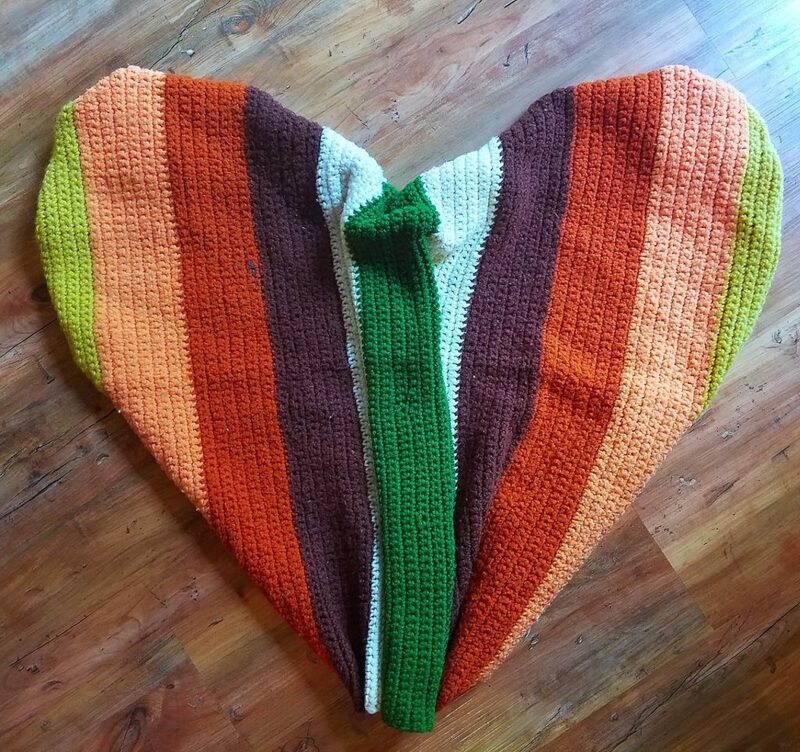 I personally learned from my Grandma when I was 16, somewhere around 1992 <3 She had learned from the ladies at her church and as I watched her crochet on her amazing brown plaid 70s couch, I was intrigued and asked to learn. I still have some of the things she made! Time period appropriate colored and all! I didn’t start out as obsessed as I am now. I did a few things and put it down for YEARS! 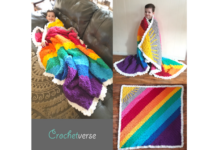 When I was about to have my first son, the nesting urge hit and I wanted to make ALL THE THINGS for him, so I picked it back up and was up and running…. 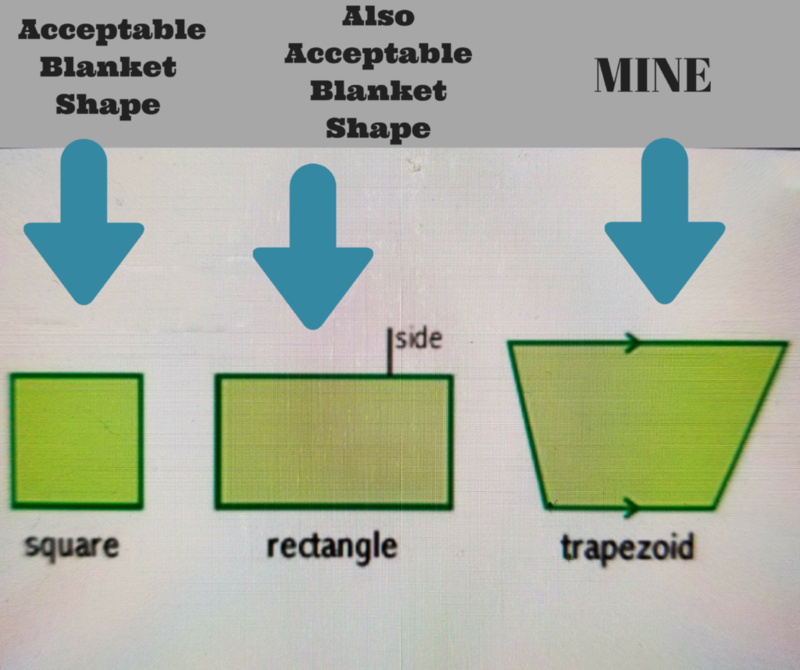 I added and skipped stitches randomly throughout and made myself a gorgeous trapezoid! Hey, don’t you worry… It was soft, snuggly and I was hella proud! But, the point is, we all start as BEGINNERS! It takes time and practice, as does anything. Don’t get frustrated. Don’t give up! So let me share with you some good ways to start to learn if you are a TOTAL beginner! 1.Do you learn best in person? Ask a friend or relative who crochets to show you! Crafters are REALLY kind and usually LOVE to share their passions! If you don’t have a friend or relative, don’t give up hope! Check your local city calender for classes! I teach for my city and it is usually very affordable and a great way to start! Be sure you look for one for beginners! 2.Book lover? 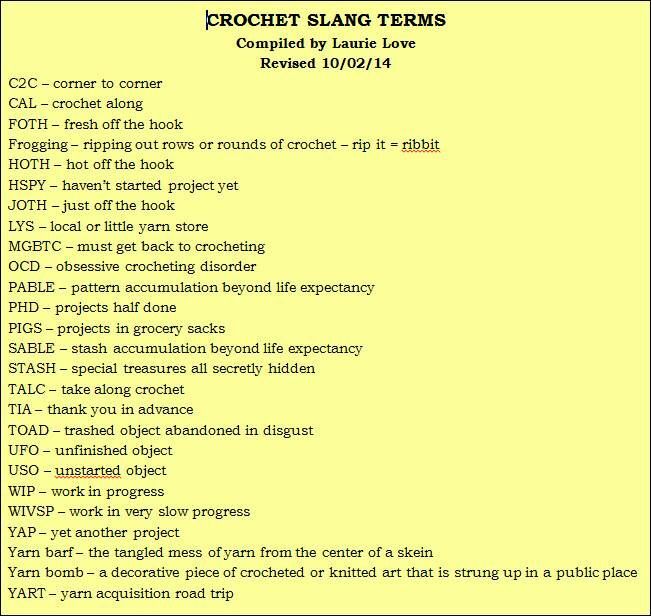 Head to any store, even Walmart in the craft section, and look for a “Learn to Crochet” book, there are a ton and that is how I honed skills after my grandma showed me the basics. 3.YouTube! This is just an amazing source! I can tell you there are a near LIMITLESS number of videos available to you. Like I said before, if one person’s method isn’t clicking… Just try another! Here is a favorite for that. It is called “The Crochet Crowd” and they are done by a man named Mikey, who I feel is a great teacher! Very clear speaking, good camera angles, and thorough. When I need to learn something new… this is one of the 1st sources I check. 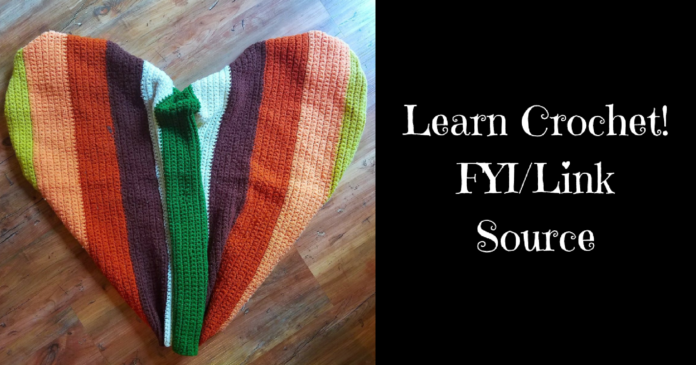 Here is the link to my Crochetverse Youtube Channel, on which I have some tutorials as well! 5. Ravelry! This is what I would call the “library equivalent” to crochet (and knit!) patterns and projects. The site is used by designers and crocheters alike. The designers create listings of the patterns they offer, either for sale or for free. Some are downloadable, some are available on blogs only. It’s a GREAT way to discover and inspire. Below is the link right to my designs and offerings, but be sure to click on the homepage and see all the others as well! 6. Facebook Groups! 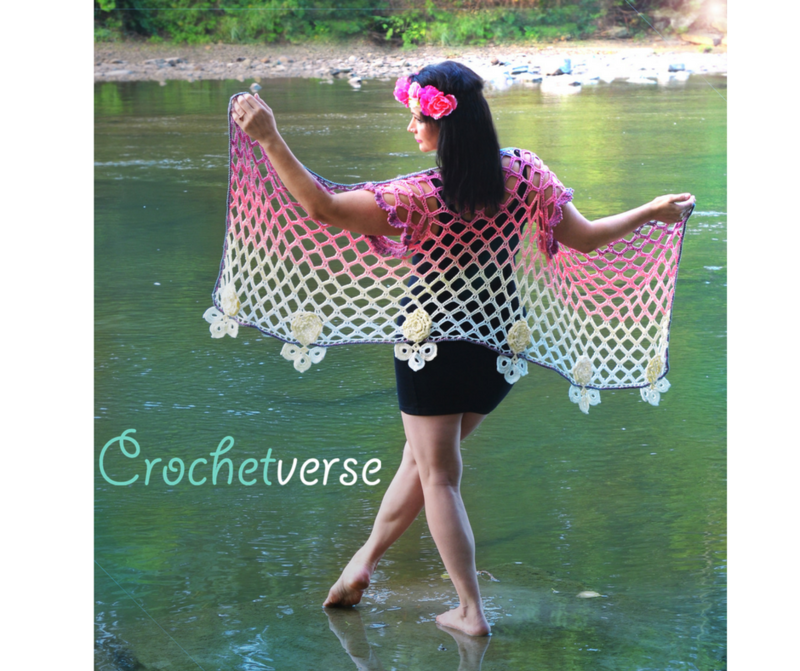 These are a DIRECT link to hundreds of thousands of fellow crocheters. OF ALL LEVELS. Beginner to expert. You can post a question and likely will get 10 responses in 10 minutes. We LOVE to share out passion. You will find the community to be helpful and NO questions is dumb! I promise! I HIGHLY recommend you run and join some today. 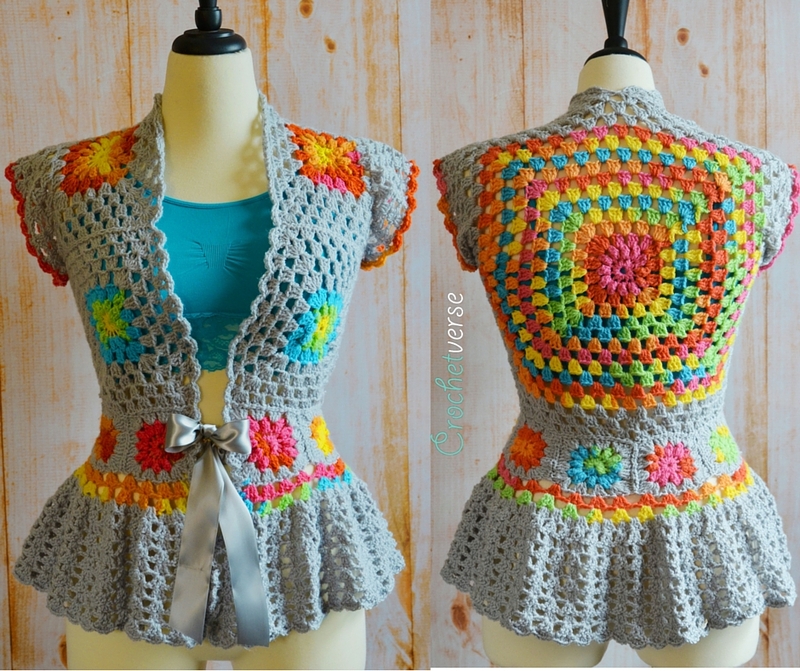 You will see projects and ideas galore to ignite the crochet fire desire! Here are my faves! CAL-Crochet A Long: This group is a friendly bunch that shares TON of CAL’s. What does that mean? CAL = Crochet Along. This means a designer will create a pattern and will release a part of the pattern on a set schedule (usually once a week) and you will follow along and create the item with your fellow community. It is a GREAT way to learn because you can ask as you go! I have a CAL going on right now as a matter of fact, once you join the group search for “The Lattice Rose”! Here is what that looks like! As with anyting, there is OF COURSE… LINGO! Here is a quick overview so you don’t feel like you’re out of the loop when you see it! AND…there is etiquette as well! It NEVER hurts to be kind, polite, and moral, so allow me to share with you what I have learned! Never ask for someone to share with you a copy of a pattern that is paid! A designer put a LOT of time into that and prices are usually VERY reasonable. Each person must buy their own copy. NO sharing! If the pattern is free, share the link to the pattern, not the actual pattern! The designer would love for you to visit their site, they need you! Keep your criticism constructive! It’s the only way we can learn! Always credit the designer when you share your work, people will always want to know what pattern you used! Keep your ideas original! Be inspired by, but DO NOT copy other’s work! Give it a twist, make it your own! Changing a few stitches here and there is ALLOWED, but it does not in turn make it your OWN design. Mostly, just be moral, honorable, and give credit where credit it due. Kind of a good life approach anyway! Well! If that’s not a crash course! I hope you find it helpful and it inspired you to try!